For the 13th SPDN event, participants gathered at the Preston campus of the University of Central Lancashire. Earlier in the week, UCLan had successfully validated a brand new BA (Hons) degree in Social Pedagogy, Advocacy and Participation, so we were particularly pleased to explore ways of developing social pedagogy at scale. The SPDN kicked off with the evening seminar in the Foster Building’s Learning Zone. Aiden Worsley, UCLAN’s executive dean, gave a very warm welcome to the 170 participants, sharing his enthusiasm for and commitment to social pedagogy. Then it was over to Gabriel Eichsteller and Thure Johansen on behalf of the SPDN organisation team (ThemPra, Jacaranda, CUSP). 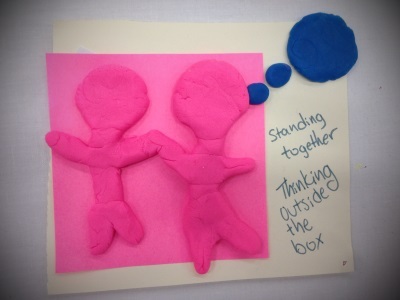 In broaching the subject of developing social pedagogy, we felt it important to frame the conversation within the context of how social pedagogy has been developing in the UK over the last few decades. This presentation was based on an earlier keynote by Gabriel and Ian Milligan, and you can view it below. 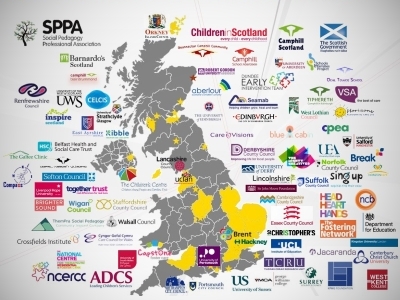 To visualise key developments, Gabriel had put together a UK map (see slide 9) providing an overview on what is going on in the UK regarding social pedagogy, which practice organisations and FE/HE institutions have been actively involved in social pedagogy. One of the intentions was to grow our collective understanding of what is happening where, and we aim to update the map on an ongoing basis here. UCLan’s own social pedagogy journey offered creative insights into how social pedagogy can inspire an entire school of social work. Anthony Moorcroft started this off with his professional and personal story of how he became aware of social pedagogy and supported UCLan in developing a course module. For his story he used the analogy of the Wizard of Oz and turned into Dorothy on stage. On his journey to the Diamond City, he was joined and supported by UCLan’s collective cast: Jane Lloyd, Lowis Charfe, Ali Gardner, Jo Cunningham, Cath Larkins and UCAN, her group of young researchers from the Centre for Children and Young People’s Participation, and Lynn Shorter. One of the greatest opportunities at SPDN events is the many spaces created for dialogue and learning from others. Following UCLan’s social pedagogy journey, Els D’Hooge had organised 11 story circles with organisations eager to share their own social pedagogy journeys. Over 3 rounds of 20 minutes, participants could find more out about social pedagogy and its impact on practice from the following narrators: Sylwia Cisowska and Carlos Rodrigues, social pedagogues from Lincolnshire County Council; John Palczynski, Head, Heart, Hands foster carer with Surrey County Council; Rute Goncalves, social pedagogue with Surrey County Council; Simon Taylor, Lizzy Watts and Christer Goetzinger from Derbyshire County Council; Nicola Boyce from St Christopher’s Fellowship; Matthew McFadzean from Care Visions; Bonnie Atkinson and Margret Snellgrove from Ochill Tower School; Chris Walter and Vibeke Alfred from the Camphill School Aberdeen; Kirsten Hogg from Camphill Scotland; Gary Shepherd from Wigan Council; and Stefanie Dorotka from Hackney’s Virtual School for Looked after Children. 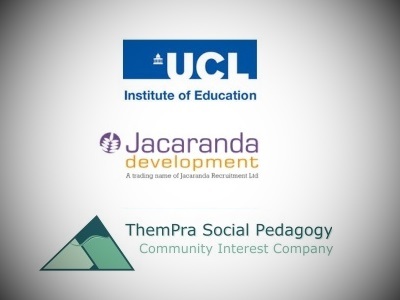 Based on the feedback we received, both participants and narrators found this a really valuable and insightful set-up to connect, learn and offer inspiration to each other – all of which are key ingredients to scaling up social pedagogy. The UCLan team had also organised 2 amazing acts for a thought-provoking and entertaining finale to the evening seminar. Eight writers from Reading the World, an arts and asset based community education programme that utilizes creative writing and performance to give people with lived experience of marginalization, stigma and/or social isolation the tools to make their powerful voices even more powerful, performed work that was deeply affecting and which offered profound insights into the writers’ experiences and perceptions. The evening programme concluded in a noisy fashion with UCLan’s Worldwise Samba Drummers playing some catchy rhythms and then inviting everybody to get involved by taking an instrument and learning together. Through easy to follow instructions and support, every new drummer learnt a basic samba rhythm and then joined together for the grand finale. Looking back, it was a fantastic evening event, in a great venue, with lots of engaging and thought-provoking elements, which made us look even more forward to the following day. A warm and sunny welcome greeted every participant joining us for the day seminar. When Jane and Lewis from UCLAN opened the event on behalf of the proud hosts and thanked 185 people for joining the SPDN in Preston. Abby Ladbrooke then welcomed everybody on behalf of the organisers at ThemPra, Jacaranda and CUSP and explained what had led to ‘scaling up’ being the theme of the 13th SPDN. She offered an intriguing example of a health project in Bangladesh, which highlighted the complexity of scaling up. Gabriel Eichsteller then invited to 2 activities involving everybody in the room and some balloons for participants to experience two different ways of scaling up – either in structured, incremental ways that built up like ripples or in chaotic, dynamic ways that created energetic engagement and spread infectiously. Gabriel then drew comparisons between developing social pedagogy and a river’s journey from its spring to the sea, explaining how different phases and challenges – smaller streams converging, sudden rapids or waterfalls, and the intricate interplay between the river shaping its environment and, in turn, being shaped by it – highlighted various aspects of taking social pedagogy to scale. He invited everybody to draw their own river considering how the implementation of social pedagogy looks like from their perspective in their organisation and to include their drawings on a large river in the foyer. After a small break Jonny Mallinson, senior research lead at the Innovation Unit, gave an amazing presentation on Scaling and Diffusion – Myths and Mechanisms (see left). His presentation very much resonated with people, and many were engaged when Jonny checked out how familiar participants were with the myths of scaling and diffusion. After lunch, Cath Larkins from UCLan led an excellent creative group activity across the three levels of Greenbank foyer. Picking up on the river metaphor, she invited participants to group themselves based on how far along their social pedagogy journey they were, then to explore the challenges ahead and imagine what resources they might need to master these challenges. Participants then built little rafts designed to get them farther on their journeys, forming alliances and thinking specifically about what they would need to have on board of their rafts. In an exciting atmosphere, each group then launched its raft from the first floor balcony in the foyer to test how well their ideas might fly – all landed safely in the lobby’s ‘river’. The water will continue to flow and gather until there is a tipping point and the UK’s social pedagogy will be part of the mainstream. keep being social pedagogic, it will be noticed, and will raise curiosity and will be better understood. It will then occur more and more spontaneously. The more I know the more I love social pedagogy. Inspiring and energising. It rocks! Keep talking, keep listening to ensure learning. It has been an exciting privilege to hear the stories of how social pedagogy is growing and developing in the UK. I’m so pleased to see people thinking about how we spread social pedagogy practice. 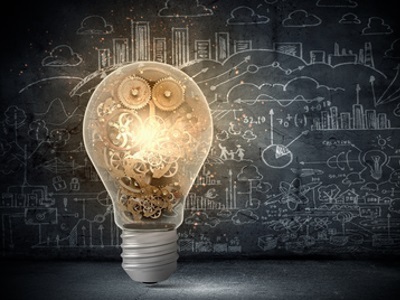 Pedagogy connects, it’s real, it works, it’s the name for what we do! I have the skills to define and explain my practice. Transformative, engaging, enthusing, inspiring and authentically simple! Thank you. Social pedagogy is like a spark in the darkness that surrounds us! Inspirational and encourages you to learn. Social pedagogy, hope in challenging situations or in everyday life. Very inspired to make changes today!!! As we all embrace this, we will see the results and never turn back! I feel hope again. SPDN are doing something very right. Transformation appears when people are touched. Amazing couple of days at @SocialPedagogy #SPDN. 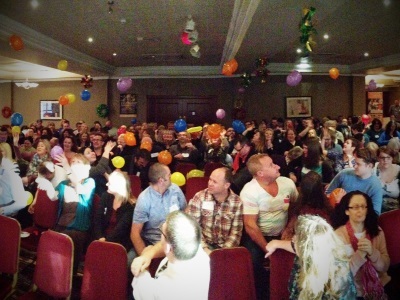 @JonnyMallinson‘s myth busting will stay with me, but learnt so much from everyone! @UCLanSocialWork #SPDN #HeadHeartHands. How do we create situations where it’s impossible not to learn? Need to co-construct meaning. BIG THANKS to @UCLanSocialWork @JlloydJane @AidanWorsley @JoCugs @aligardnerUCLAN @o_lark and Lowis for hosting the #SPDN! So inspiring!! !